Thinking of making the move to a Senior Living Community or a smaller, more manageable home, but not sure where to start? Join us for this informational session! 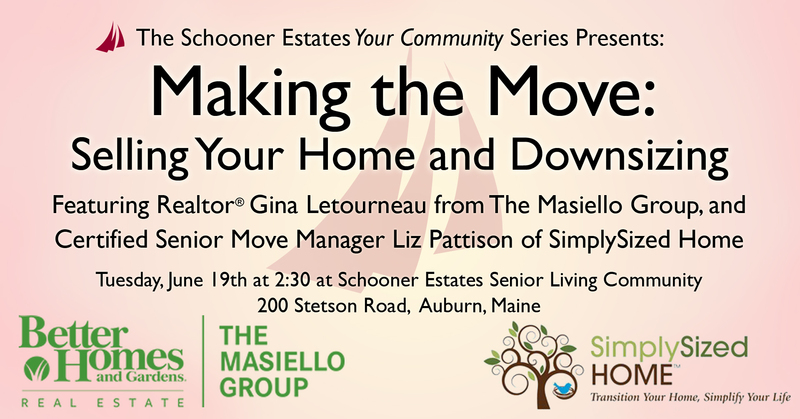 We will be hosting Realtor® Gina Letourneau of The Masiello Group and Certified Senior Move Manager Liz Pattison from SimplySized Home to share their expertise and take your questions! All our welcome!